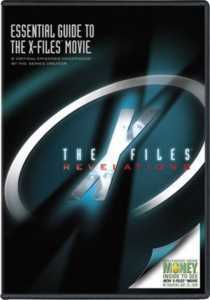 In the UK this collection of previously released X-Files TV episodes is being sold as The X-Files - Essentials, which is a much more accurate description of its contents. Basically a sampler of eight episodes spread over two discs handpicked by that show's creator, Chris Carter, it is aimed at the curious (what do you mean you haven't seen episodes of it yet?!) and more casual fans. True X-Philes will probably already own all these episodes as they are contained on the various complete season box sets. 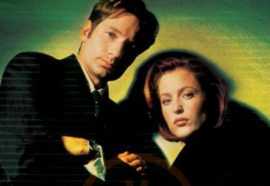 The setup is well-known by now: special agents Scully (Gillian Anderson) and Mulder (David Duchovny) investigate the so-called x-files - all the FBI's unsolved cases usually involving some element of the unexplained (UFOs, the supernatural, etc.). Picking eight episodes from over 200 episodes is quite a task, and the chances are that some if not all of your own personal favorites won't be included on this collection. As it is, we get the pilot episode (to get newbies into the picture), several of the show's humorous episodes, one so-called mythology episode and one or two scary ones. Our personal faves on this collection are the funny episodes: Clyde Bruckman's Final Repose, Post-Modern Prometheus and Bad Blood. Interestingly enough all but one of these episodes are from the show's first five seasons when the show was still being filmed in Canada. Only one episode (Milagro) is from season 6 onwards when the show was being filmed in Los Angeles. All of this proves our contention that the series took a nosedive quality-wise with the move as it had by then used up its best ideas and lost some stunningly atmospheric Canadian locales. No matter how hard they tried, but they could never recreate those spooky Vancouver woods in California! In another article we wrote that the upcoming X-Files movie will be a bit like getting it on again with an ex (no pun intended), but this collection serves as a reminder of what was so great about the ex in the first place. Although the quality may vary from episode to episode, the writing and acting in the eight episodes collected here is quite good and is highly recommended to the curious and the nostalgic (is the show really fifteen years old already!?). THE DISCS: The image quality on these discs are quite sharp and seem much less grainy than previous (especially budget) versions. Special features include short introductions to each of the episodes by series creator Chris Carter and executive producer Frank Spotnitz. It is best that check out these intros after having viewed the episodes in question. There is a 20 minutes or so segment on the appearance of the two as well as the show's stars at the recent Wondercon in San Diego. Of course they don't give anything away about the upcoming big screen X-Files movie. Coolest of all though is the teaser trailer for the movie and after watching the eight episodes on this disc and this teaser there must be something seriously wrong with you if you don't want to check out the movie when it opens on 25 July. For just that purpose there is an $8.50 discount coupon included with Revelations. WORTH IT? Yes. If you don't already own any of these episodes already, that is. RECOMMENDATION: Buy it if you're an X-Files newbie or if you fell out of love with this series. Even with the weaker episodes you can always just stare mindlessly at the lovely Gillian Anderson . . .